Imagine a material that can serve as a lubricant for artificial joints, mechanical elements in vehicles, and a bacteria deterrent for surfaces like eyeglass lenses— or medical devices. Versatile in use and innovative at its foundations, professor of materials science and engineering Christopher Li published his research in Nature Communications on March 24, describing new nanobrush technology that may be able to be used for such functions. Operating in the Drexel Soft Materials Lab, Li’s research team includes visiting scholar Qiwei Pan, six PhD candidates, three BS/MS students and eight undergraduate students. “Our interests focused on understanding [the] structure-morphology-property relationship of complex, polymer-based heterogeneous materials. By exploring the fundamentals of these systems, the end goal is to achieve advanced functional materials for energy to biomedical applications,” Li explained. Li’s research began after observing a soccer field. In the same way that sod is used to protect a soccer field, Li is developing nano-scale polymers which protect various surfaces. Until now, polymer brushes have been made in two ways. One method is the “grafting-from,” which is analogous to sprinkling seeds on soil and waiting for grass to take root. The other method, called “grafting-to,” is like transplanting individual blades of grass. Li’s research however, has developed a novel method, one which he refers to as the “grass carpet.” The novelty in Li’s idea involves putting together a functional two-dimensional sheet of polymer crystals. “[It acts] similar to a nanoscale piece of double-sided tape,” Li explained. When the sheet is stuck to an existing substrate and the crystals are dissolved, the remaining polymer chains spring up, forming the bristles of the brush. “[The goal is to] prevent bacteria from adsorbing onto the surfaces,” Li explained. Therefore, depending on the materials being treated, Li’s nanobrushes will extend the usage life of the object. “We believe that our discovery of a new way to make polymer brushes is a significant advance in the field and will enable use of the brushes in exciting new ways,” Li stated. “What this all means is that one day engineers will be able to tailor-make incredibly durable polymer brush coatings to extend the usage lives of all kinds of uniquely shaped joints and couplings,” he continued. 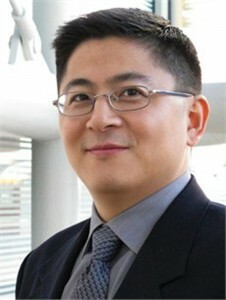 Li has extensively contributed to the fundamentals and applications of complex heterogeneous materials by developing two research platforms during his time at Drexel. These include crystalline polymer-based complex systems for advanced materials as well as hierarchical nanomanufacturing using holographic polymerization. The recently published paper detailing the full content of Li’s research on nanobrushes can be found in the journal Nature Communications. and is available in full online at http://www.nature.com/ncomms/2016/160324/ncomms11119/full/ncomms11119.html.